Learn about CBD oil benefits and how it can help with muscle pain relief. Cannabidiol (also known as CBD) is one of the most beneficial oils available to treat numerous medical conditions. This valuable oil is derived from the cannabis plant. It has been known to aid in the treatment of cancers, nausea, anxiety, and even pain and inflammation. In addition, unlike many pharmaceuticals used for these issues, it has been shown that there are little to no side effects, making the use of CBD less harmful to the body and easy to digest. In general, CBD taken from the cannabis plant is a natural remedy that affects several areas of the body at once, hitting major issues for the same disease. As a result, the body's overall functionality improves. CBD has been shown to be beneficial to the human body, ever since the discovery of the body's human endocannabinoid system, which offers cannabinoid receptor sites. In layman's terms, this indicates the body has built in receptors to aid in the CBD's ability to help the body heal without affecting healthy cells within the body or causing any serious, or detrimental side effects. CBD has long been known to be helpful and useful for cancer patients, however, many people do not fully understand how it all works, especially compared to treatments like chemotherapy. To begin, unlike chemotherapy, CBD oils shown to be non-toxic to the body. As opposed to depleting the entire body and making someone more susceptible to outside illnesses, CBD destroys the calcium metabolism of the cancer cells, resulting in cancer cell death, without affecting the healthy, surrounding cells. In addition, it aids in the "Caspase Cascade," breaking down proteins and peptides in the cancer cells. As this method allows for normal cells to stay intact and survive, research has shown that the cancer patient is less likely to encounter any illnesses that can cause other complications or non-cancer deaths. Compared to chemotherapy, CBD oil for cancer treatment can aid in allowing a person to feel like a normal human, as opposed to a cancer patient, who is fighting to maintain his or her life, and win against the dreadful disease. This is not to say that chemotherapy and other treatments do not have their proper place, however, but CBD oil can be a great natural tool, especially in moderate stages of cancer. Anxiety affects a larger portion of the population than many people realize. As a matter of fact, 12% of Americans alone are affected by social anxiety disorder. As a result, these people cannot function in social settings and can become so distraught, their daily functionality is in constant upheaval. CBD has been shown, through small studies, to aid in reducing social anxiety disorder. Providing a recommended dosage of a CBD supplement for anxiety affects the brain's blood flow in a way in which many anti-anxiety pharmaceuticals have been shown to do, by affecting the part of the brain that controls emotions. In addition to helping in this manner, there are little to no side effects affecting these individuals, allowing them to enjoy a new outlook on life without the discomfort that is associated with many anti-anxiety pharmaceuticals. While it is hard to recommend the best CBD oil for anxiety or CBD Capsules, some may argue that one should make sure it is pure CBD oil as opposed to CBD oil mixed with THC, as THC can potentially add to anxiety issues. There have been many studies on how your body can be impacted positively with CBD. Not only for humans, but also for pet pain relief. Inflammation and pain are a large part of many illnesses and ailments that have been helped through the use of CBD. Whether a person suffers from arthritis, multiple sclerosis, a broken bone or sprain, or even paralysis, the inflammation and pain of any type can be life changing, at best. CBD has been shown to help with these types of issues. Unlike many pharmaceutical pain medications, studies have shown that CBD oil for pain is non-habit forming and does not come with a host of other side effects. 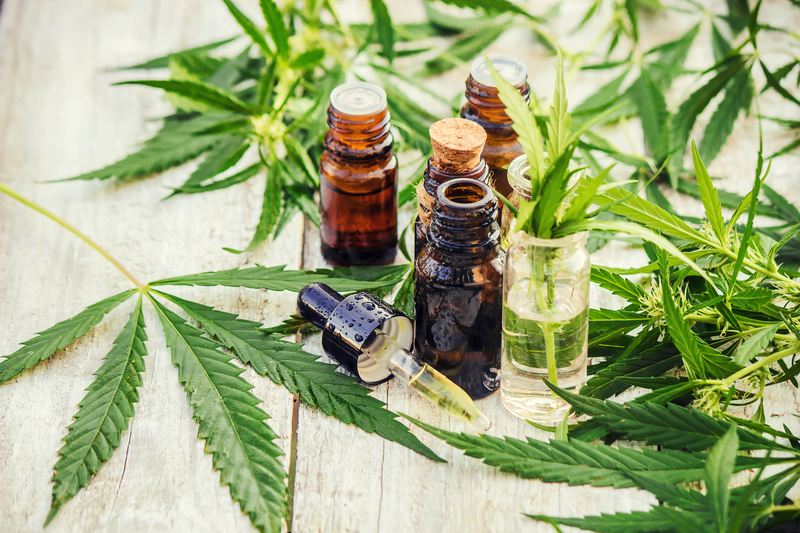 As a matter of fact, there have been experiments to aid in helping people with multiple sclerosis while using a topical form of CBD, such that it does not need to enter the body's digestive system. The CBD oil for pain can aid in relaxing the muscles, helping to loosen the body and keep the muscles from pushing up against the nerves that trigger pain. In other words, CBD, will help the body relax so that it can rest and heal itself, allowing pain and inflammation to subside. While it will not cure a person who has these ailments, it can help alleviate the pain without the debilitating side effects associated with pharmaceutical pain medications. When it comes to nausea or digestive issues in general, it has long been shown that CBD oil and other parts of the cannabis or hemp plants have been helpful with these issues. Going back to the previously mentioned CBD receptors, CBD can help reduce nausea and vomiting by activating a compound within the body. This is a truly exceptional aid to chemotherapy patients or other types of individuals who are undergoing intense medical treatments that may affect their digestive system. For many years, this concept has been used for HIV and AIDS patients to allow them the ability to eat when taking the medications that cause extreme nausea and vomiting side effects. These patients, and others suffering serious illnesses, need to eat to keep their strength up to battle these horrific diseases. They do not need to add additional pharmaceutical chemicals into their bodies to aid in these types of issues. The list of benefits of CBD oil is seemingly endless. Aside from aiding in fighting cancer, nausea, pain, and anxiety, CBD oil can be used to aid in numerous other issues affecting the human body, all while protecting the healthy cells within the body and only attacking the infected cells or muscles causing issues. Issues such as schizophrenia, epilepsy, and even degenerative disc disease can be aided with the use of CBD oil. For issues such as pain and inflammation, CBD oil can even be used as a topical treatment to avoid interacting with the digestive system. Among the conditions it helps, it is important to note that CBD oil is a natural remedy with little to no side effects. Unlike many pharmaceuticals, the list of side effects does not overshadow the benefits. CBD oil has been shown to be helpful with working alongside pharmaceuticals for severe illnesses, such as progressive cancers or other ailments, but it can be used by themselves to help treat less aggressive forms of many of the same ailments. It is important to note, however, that CBD oil is not meant to replace any professional medical treatments available. They are meant to have their proper place in the world of medicine as an alternative, only when it will be most useful to the patient. CBD oil has a place in the world of medicine, and should not be overlooked as it’s a valuable tool to help patients who are suffering from many ailments, including pain, inflammation, anxiety, psychological disorders, and even cancer. To learn more about the benefits of CBD oil, contact the experts at My Health Etc at (844) 779-2200. Our mission is to educate people on the benefits of CBD oil and how it can be used to enhance their lives and help them heal. Our experts are available to answer your questions and guide you in the right direction for your needs. Hemp CBD oil: is an extraordinarily innovative product, and it is available for anyone to purchase across the country, but the FDA has not categorized it as a food or a drug. Because CBD oil has not been FDA approved as a cure or treatment for any disease, My Health Etc. does not make or support any medical claims related to hemp CBD oil.